For information on many of our trips, view our Upcoming Events. I’m really looking forward to sharing another year of travels and adventures with you! First Mid’s Blue & Gold newsletter will be published every month with our monthly statements. In these newsletters, we share articles about product information, company news, helpful tips, upcoming trips and a note from me. See below for our current newsletter. 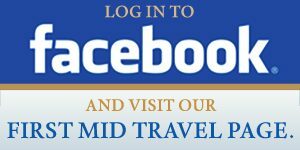 To stay connected, we will include more information on our First Mid Travel Facebook page. Click the link in the upper right hand corner to visit our page. You must be logged in to Facebook to view our page. Check us out to see upcoming trips, highlights from some of our past trips and comments from our travelers! Nothing could be easier than traveling with First Mid! You don’t have to worry about making hotel reservations, scheduling travel arrangements, or finding the best attractions to see. All those details are taken care of… just pack your bags and come along! 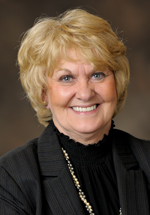 First Mid Travel’s office is now located at the Mattoon Cross County banking center. Click to view the 2019 Travel Newsletter!